Believed to have originated from the region of Baltistan in Northern Pakistan, authentic Balti cuisine is highly aromatic with a subtle use of spices. Balti seasoning is added to curries that are cooked quickly using a stir-fry technique in a cast iron round bottomed pan with two handles, known as a karahi. However, balti seasoning can also be added to dishes prepared in a wok or frying pan with equally delicious results. Balti spices are one of the many Indian seasoning blends that Seasoned Pioneers produce authentically using the art of dry roasting and blending. 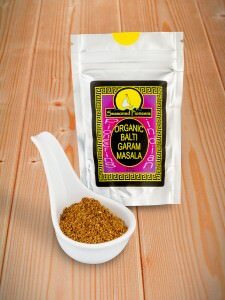 For anyone seeking Balti ingredients, our Balti Garam Masala is available as either a conventional or an organic blend. Highly aromatic with clove and peppery notes, this Balti seasoning blend gives an authentic flavour to many Balti dishes. Containing cumin, coriander seeds, cinnamon, black peppercorns and cloves, it should be used whenever a Balti recipe requires curry powder. 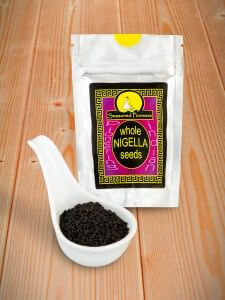 Other Balti ingredients include Nigella seeds, which are known by a variety of names including kaljeera or black onion seeds. They are the seeds of the Nigella Sativa plant and are commonly used in curries, chutneys or sprinkled over Indian breads. With a smoky, peppery flavour, they are an essential addition to any collection of Balti spices. Interestingly, Birmingham in England also lays claim to being the origin of Balti cuisine, having had a large community of Pakistani and Kashmiri people since the 1970s. In fact, there is even an area known as the Balti Triangle containing numerous Balti-houses. These are small family run restaurants serving flavoursome dishes both fragrant and tasty due to the lavish use of Balti spices and Balti seasonings. The usual accompaniment to Balti dishes is naan bread, used instead of cutlery to scoop up the curries, which tend to be drier than most Indian curries with not quite so much sauce. 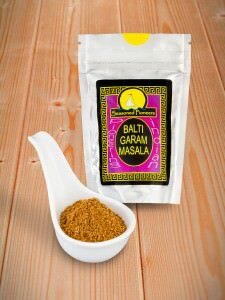 Should you be looking specifically for Balti ingredients, you will find many more Balti spices and Balti seasonings listed on our Indian seasonings page. However, if you cannot find the Balti ingredients that you are looking for, then please contact us and we will do our best to assist you.